Tottenham Hotspur must win silverware, if they are to prevent the break up of their star-studded squad, according to ex-midfielder Jamie Redknapp. 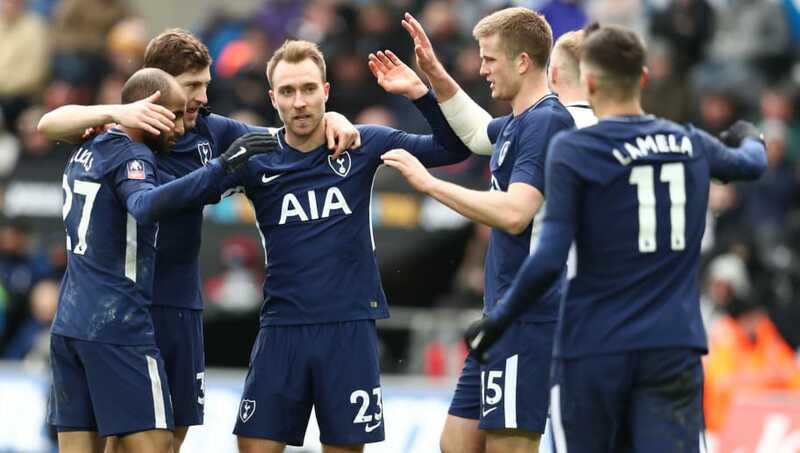 Spurs booked a place in the FA Cup semi-finals where they will face ​Manchester United at the weekend via a 3-0 win over ​Swansea City, with Christian Eriksen's scintillating performance the stand out contribution. Man Utd drawn at home to Tottenham so Spurs will be in visitors dressing room at Wembley. And the 44-year-old pundit, who spent three years at White Hart Lane before his final year in football with ​Southampton, believes going all the way will stop the exits of the likes of Harry Kane, Hugo Lloris, Dele Alli, Mauricio Pochettino and the Denmark international. "They will be able to open their new stadium by parading a trophy", Redknapp wrote in his column for the ​Daily Mail. "Pictures of captain Hugo Lloris lifting the Cup can adorn the ground. It will also help ​Tottenham keep hold of their best players. "It would only take the departure of Kane, Alli or even Pochettino for this wonderful side to start breaking up." Consistent reports have linked Kane, in particular, with a move away from north London this summer, with ​Real Madrid said to be keen on landing the England international frontman and willing to offload £200m to do so. However, conflicting claims suggest that despite being no nearer to lifting the ​Premier League trophy, the 24-year-old, currently sidelined through injury, is willing to stay for the inaugural season at the 'new White Hart Lane' and assess his future in the summer of 2019. But Redknapp's comments will ring some truth, with the Spurs headliners certain to begin to look elsewhere, similarly to the likes of ​Manchester City's Kyle Walker, if silverware is not secured in the near future.